The 2019 Virginia General Assembly Session has begun and all of the bills advanced by the Virginia REALTORS® are moving! This session will be ‘short,’ only lasting 46 days. It is scheduled to end on Saturday, February 23rd. Join us in Richmond to help advocate on behalf of your business at the 2019 Virginia REALTORS® Economic and Advocacy Summit. Learn more about it and register here: https://dullesarea.com/2019/01/09/were-in-session-join-us-in-richmond-for-the-chance-to-advocate-on-behalf-of-your-business/. 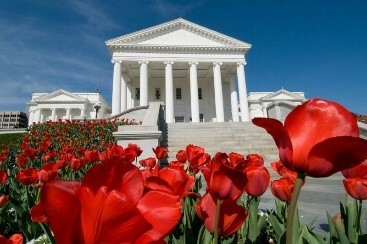 Here’s the status of the Virginia REALTORS® Legislative Agenda. Summary: A recent court ruling raised the question of whether the delivery of an “incomplete” disclosure packet in a Property Owners Association (POA) or resale certificate in a Condo Owners Association (COA) begins a buyer’s ability to cancel the contract within the three-day right of rescission. 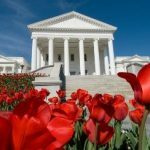 The Virginia REALTORS® is seeking legislation to clarify that the delivery of an “incomplete” packet begins the three-day right of rescission. This standard will provide more certainty to both buyers and sellers by given both parties a firm deadline. HB 2385: General Laws Subcommittee – passed 8-0; General Laws Committee – passed 22-0. Next step: House final vote. SB 1580: Referred to General Laws and Technology Committee. Summary: In certain real estate transactions, mineral rights may be associated with property that do not necessarily transfer with the purchase of the land, but rather are held as separate owner interests. The Virginia REALTORS® is seeking legislation to add “mineral rights” to the Residential Property Disclosure Statement buyer beware form that each potential buyer receives in a real estate transaction. Committee for Courts of Justice – passed 13-0; Senate floor first reading – passed 38-1. Next step: Senate final vote. Summary: Currently only local Commonwealth Attorneys have the authority to prosecute unlicensed real estate activity. Enforcement of unlicensed activity is often secondary to more serious criminal prosecutions. The Virginia REALTORS® is seeking legislation to add unlicensed real estate activity to Virginia Consumer Protect Act to allow for greater consumer protection against this illegal activity. Under the Consumer Protection Act, entities such as local government attorneys or individual citizens could bring civil action against people participating in unlicensed activity. Assigned to a Subcommittee of the Committee on Commerce and Labor. Summary: Ensuring individuals can be hired as both independent contractors or employees. The Virginia REALTORS® is seeking legislation that will clarify that a real estate licensee can hire an unlicensed assistant as an employee or as an independent contractor. This legislation also allows the Virginia Real Estate Board to define what duties an unlicensed assistant can legally undertake, regardless of whether they are an independent contractor or an employee. HB 2352: General Laws Subcommittee – passed 8-0; General Laws Committee – passed with an amendment 22-0. Next step: House final vote. SB 1061: General Laws and Technology Committee – passed 12-0; Senate floor 1st reading – passed 40-0; Senate final vote – passed 40-0; Referred to the House Committee on General Laws. DAAR is developing the 2020 Legislative Positions and we’d like to hear from you! The legislative positions address local, state, and national concerns and are used to guide DAAR’s advocacy efforts throughout the year. Check out the 2019 Legislative Positions to learn about this year’s advocacy agenda. Please submit your concerns, background information, and suggestions for legislative or regulatory reforms to DAAR online by April 1, 2019. Questions? Contact Brenda Morton at (703) 777-2468 or bmorton@dullesarea.com.